QUANTICO, VA. (April 26, 2018) – The U.S. Army Criminal Investigation Command’s Computer Crime Investigative Unit (CCIU) continues to caution the Army community to be on the lookout for all types of “sextortion scams” where criminals will use any dishonest method to make contact with potential victims and then attempt to blackmail them. Officials describe “sextortion scams” as cyber sexual extortion where perpetrators conduct schemes that leverage online sexual acts for financial gain or other forms of blackmail. 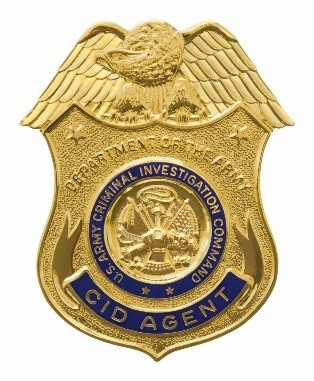 In addition, when using a legitimate online dating site, victims are more apt to provide personal information and or participate in online “compromising acts;” however, CID officials are warning the Army community to be very cautious of their online communications activity and not share intimate, personal information with strangers or people you have never met in person. “These criminals will try to get unsuspecting service members to engage in online sexual activities and then demand money or favors in exchange for not publicizing potentially embarrassing information or turning them over to law enforcement,” said Andrews. Once the Soldier sends a compromising photo or participates in a video chat, the perpetrator threatens to send those images to the Soldier’s command, family, and friends unless “ransom money” is paid, according to CCIU officials. One recent scam is where the criminal will claim that the Soldier sent sexual images to a minor, who has now become the alleged victim, and threaten to report the Soldier to law enforcement unless a monetary fee is paid. “Victims are at risk of further exploitation, that can include demands for additional payments, more sexual images, sensitive military information, or access to U.S. Army systems and facilities, so early notification to law enforcement is important,” CID agents emphasized. DO preserve whatever information you have from the scammer(s), such as social networking profile, email accounts used, where money was directed to be sent, etc. DO notify CCIU at cciuintel@mail.mil to report being a victim if you are a service member or an Army civilian employee. If you are not associated with the military, report the crime to your local police department, DHS Homeland Security Investigations at Assistance.Victim@ice.dhs.gov, or the FBI’s Internet Crime Complaint Center at www.ic3.gov. If victims are not eligible for military services, or where military services are not available, the VWL can provide liaison assistance in seeking any available nonmilitary services within the civilian community. For more information about computer security, other computer-related scams and to review previous cyber- crime alert notices and cyber-crime prevention flyers visit the Army CID CCIU website at http://www.cid.army.mil/cciu- advisories.html. For more information on CID, visit www.cid.army.mil. To report a felony-level crime, provide information concerning a crime, or if you are the victim of a crime, contact your local CID Office, the Military Police, call 1-844-ARMY-CID (844-276-9243) or email CID at Army.CID.Crime.Tips@mail.mil.